So you want to come to ASW and you don’t have a yacht – what are your options? Many of the race charter companies do pay to race boats where individual spaces are available to hire on board. The benefits are that as an individual you can get on board, and also you get to meet a whole pile of new people. Of course you don’t know what their skills or talent are. The boat will be a skippered charter so you don’t have to worry that there is not expertise on board to manage the crew. It also means if you are a novice you can still get a great race experience and learn throughout the week. Many of the companies that charter whole boat also do this, especially if they haven’t been able to charter the whole boat, they will release the boat as an individual boat nearer the event. You will of course need to pay for your space on board. Contact the individual companies to find out about what deals they are offering. Many local or regional boats are often light on crew. They also don’t have big budgets in many cases but may be happy to take additional crew. But you have to find these boats early to guarantee your place. There are two key types of full boat charter – whole bareboat charter and race charter. 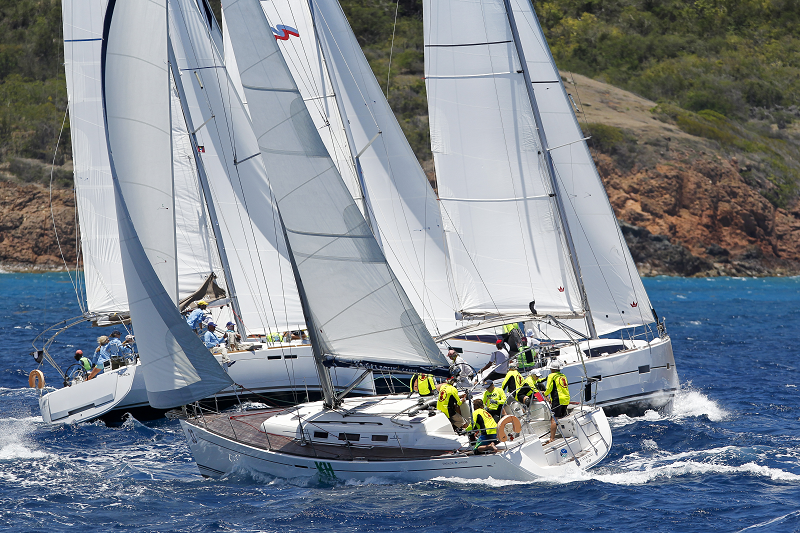 Our sponsors Dream Yacht Charter offer excellent monohulls, race ready inclusive of all racing and marina fees. You can sleep on board and in terms of racing the bareboats have their own classes. They are non-spinnaker but it’s still incredibly competitive racing against either identical or very similar boats, so well worth looking at. For some people they want to race spinnaker and in that case an option to consider would be Race Charter. Boats available range from VO 70’s to Cork 1720’s. For Bareboat options get directly in touch with Dream Yacht Charters – examples of rates for Antigua Charters April 27 to May 4, 2019. There are also options to fly into nearby islands such as Guadeloupe, St. Maarten or the BVI’s and sail from there. Many people do this and add on an additional week of cruising around the islands, also a nice way to wind down from the racing and become familiar with the boat before racing. When searching for boats be sure to call DYC to discuss the options as the website doesn’t always show availability for Antigua as they will move boats up and down the island chain to support demand. We work with the Caribbean Sailing Association who are now keeping a central list of charter boats who are in the Caribbean for the season. In brackets you will also see some who are just Antigua based. Check out the options here. We use a crew board on Yachtscoring.com – whether you are crew wanting to get on board a boat or a boat owner who needs crew you can post on the board. The downside is that people need to individually email the boats or people listed to check if they still are still looking but we know it works well. Check out https://yachtscoring.com/event_board.cfm?eID=4734 for more information. Tendrr.co is a new crew and boat board. The difference is the boat owners or crew individually register for an account and can then attach themselves to events they are going to (as a boat) or events they want to attend (as crew). The matchmaking process then begins. Boats can list on the site whether they are offering paid places or free places. Equally crew can list whether they just want to get on board or are professional and need paying. Whichever way you get here, its going to be worth it. 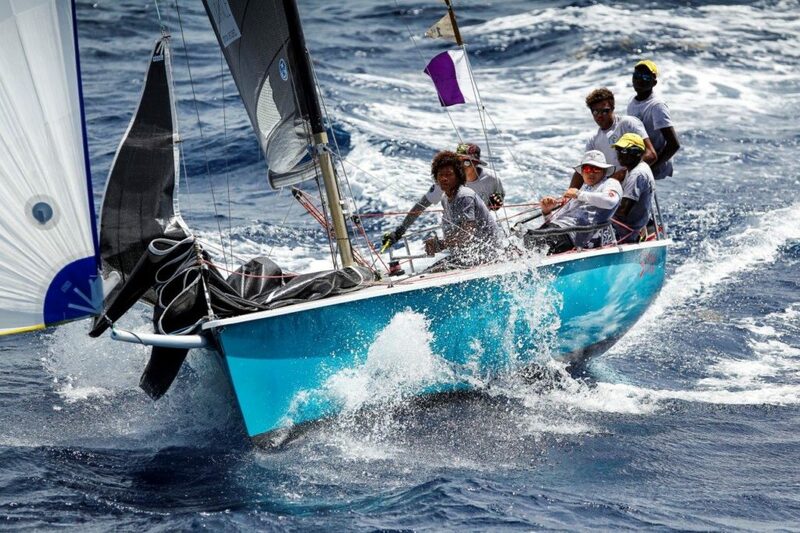 The 52nd Antigua Sailing Week takes place from April 27th to May 3rd and will be a week of competitive racing on the water and fun off the water for all.